Database Development System (DDS), an Oracle® application, which provides the user a method to add, delete, change and review the forces available to a scenario and their characteristics. Combat Events Program (CEP) which is the combat model that tracks the status of the objects repesented in the scenario. JTLS - GO Object Distribution Authority (JODA) which serves the data generated by the CEP to the other processes that require knowledge of the current status information of the scenario objects. Web Enabled JTLS - GO services (Apache data server, XMS, SYNAPSE, OMA, and JXSR), which provide access to the available data over the secure internet connection. Web Hosted Interface Program (WHIP), which is the graphical user interface for JTLS - GO, allow the user to enter orders to modeled objects and receive information concerning their status within the simulated operation. JTLS - GO is optimized for a 64-bit architecture. For this reason, the current equipment listed only includes 64-bit hardware. The manner in which an operating system performs is tightly linked to the processor used. The JTLS - GO CEP, JODA, and the Web Enabled JTLS services have only been tested and approved to execute on the AMD 64 processor architecture and Intel Corporation EM64T processor architecture. These core programs have only been tested using the RedHat Linux operating system and the CENTOS Linux operating system. The WHIP user interface program can operate on any machine with a Java®-capable browser, but detailed testing has only been accomplished on one or more Microsoft Windows or RedHat Linux OS Player or Controller workstations that utilize the AMD/Intel AMD64/EM64T architecture. The equipment required to execute the core components of JTLS - GO - the CEP, Web services, and WHIPs is configured according to the intended use of JTLS - GO within an academic, analysis, training, or exercise environment. Depending on the intended use of JTLS - GO, the system can be executed on an optimized desktop or laptop computer, or a suite of servers and client workstations. Single or multiple analysts or academicians who desire to execute simple vignettes for research purposes can successfully execute the model on a single Linux OS machine. A single computer may also be used to execute the model for small groups of simulation trainees. Larger groups will probably require a configuration similar to the Representative JTLS - GO Hardware Configuration specifications. The configuration needed to support a larger audience of users will require additional server hardware to distribute the processing loads of the CEP and Web services. This distribution is needed to improve system performance and user interface response. 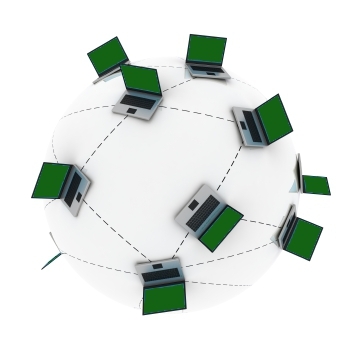 Windows platforms are recommended to execute the WHIPs for exercises and user training. The equipment shown in the Representative JTLS - GO Hardware Configuration specifications is the minimum configuration recommended to execute a scenario that supports approximately 5,000 units and 30,000 targets. These specifications were established during stress testing by the JCW staff, Suffolk, VA. Throughout the test, game speeds of 6-to-1 or greater were maintained consistently while supporting 90 or more Player stations. Other critical elements, such as exercise, analysis, training environments, scenario size and complexity, must be considered while planning an optimal JTLS - GO installation. Smaller databases and scenarios used for research, analysis, training, testing, experimentation, or demonstration will operate successfully on significantly reduced platforms. For example, a small scale scenario using the Standard Database delivered with JTLS can be executed on a single Linux server platform supported by a single CPU and 4.0 GB of RAM. All servers and workstations used in this configuration require 100 Mbps Ethernet connectivity. All servers must execute a version of the Linux OS compatible with RedHat Linux 6.0. Workstations can either execute a version of the Linux OS compatible with RedHat Linux 6.0 or a supported version of Microsoft Windows. At least one generic CD/DVD R/W drive and one laser printer must be available on the network. It is recommended that one printer per work area be made available to support large-scale training events. As previously mentioned the DDS is an Oracle Relational Database Management System application. Due to licensing restrictions, Oracle cannot be delivered as part of JTLS and must be obtained separately. The free version of Oracle, known as Oracle XE, is more than adequate to build a JTLS database using the DDS. On the other hand, if JTLS is to be used with its After Action Review (AAR) post-processor called the Total Recall Interactive Post Processor (TRIPP), a licensed version of Oracle is needed due to the database size limitations of Oracle XE. Other than Oracle, JTLS is delivered as a complete software package. It simply needs to be loaded on a Linux network following the installation instructions.